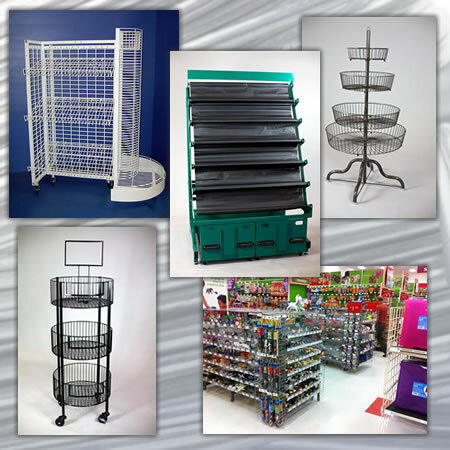 SPC Display Group has manufactured thousands of standard metal, wire, MDF and plastic store fixtures and POP displays, including garment racks, baskets, dump bins, spinners, tables, power panels, risers, and more. Or, if you're not sure what you need, SPC will help you design and/or value-engineer standard retail store fixtures, or custom retail fixtures, in-house. We'll then build prototypes and produce your store fixtures and displays. Please visit our portfolio to see examples of completed store displays and fixtures.